GLProject is an old project I did for an OpenGL class in school. I include it because I think its still pretty impressive. 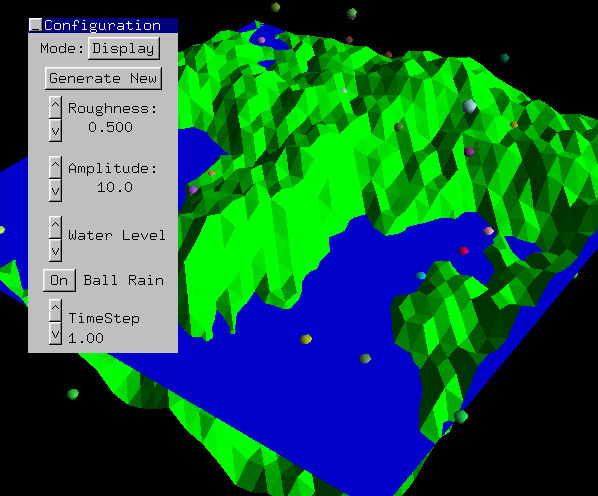 It will generate fractal landscapes using the diamond-square algorithm, and then bounce balls off the landscape using simple particle physics. Its far from perfect, but it got me an A. Current Status: Finished. It could probably use some work, but I wont be doing any more with it.